My thyroid is going to be checked with a blood test, should my medication be taken before the blood test? Is fasting required for T3 T4 TSH test? Is it good to take thyroid medication before the glucose test? It depends. We can’t say yes, and we can’t say no. It depends on the situation of things. When your thyroid hormone is at the right level, you feel best at that time. So, before prescriptions for your thyroid hormone can be adjusted, blood tests must be accurate so that you can get all the information that you need. The results of a 2007 study will be of help here. A study was conducted on Experimental and Clinical Endocrinology and Diabetes. We’ll use the results of that study to answer this question. The study took place over 24 hours, and it followed 44 people who were diagnosed as hypothyroid. These 44 people were given medication. 12 blood samples were taken from them to measure free T4, free T3 and TSH. What Should Be Tested For? Some doctors test only TSH and measure thyroid function from that alone. But TSH may not show the entire scenario. It’s best to test free T3 and free T4 too. 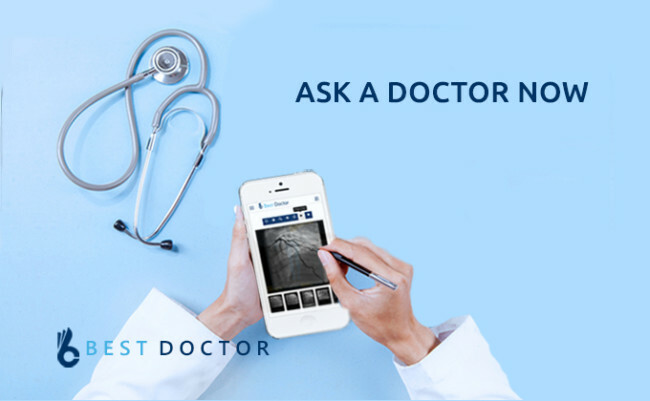 A thyroid panel can be ordered for by your doctor. The thyroid panel consists of TSH, total T4, T3 uptake, and calculated T7 index. TSH is a good start while total T4 is helpful. T3 uptake is related to thyroxine-binding hormones and not the T3 hormone. The above thyroid panel provides a lot of useful information for interpreting the TSH value. The tests done in the study did not contain levels T3 and T4. T4 is a more popular and cheaper test. When the levels of the free hormone in the blood are measured, the doctor wants to know how much free hormone is available to work on the cellular level. The total hormone levels combine bound levels and free levels. Most hormones are bound by protein to carry them all around the bloodstream so that they be made available at faraway sites. Once the free hormone is used by a cell, the binding protein releases another hormone, so the hormone is made available. Hormone binding is a complex process that is usually affected by other circulating hormones. T3 is the active form of the thyroid hormone or triiodothyronine. T3 is not produced in large quantities by the thyroid gland. But for adequate distribution around the body, the inactive T4 or thyroxine is produced. T4 has a little action on the cellular level, but the biggest use of T4 is when it is converted to T3 in the tissue. 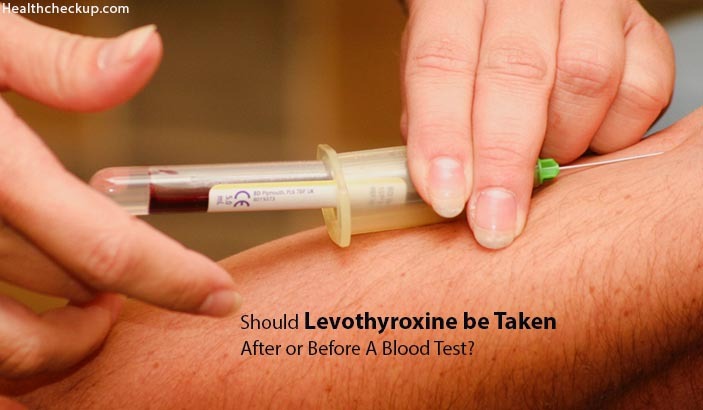 Should I Take My Levothyroxine Before or After A Blood Test? Levothyroxine is a medication that releases slowly in the body. It helps to make for a balanced hormonal level in the body. The half-life of levothyroxine is 9 days. So even if you stop taking the medication, it will take about 9 days for it to clear half of the medication away from your body. This can affect blood tests. Regardless of whether you take your T4 medication before a blood test or 2 days after the blood test, free T3 and TSH remains the same. 2 hours after taking T4 in medication, it peaks, and so it can affect a blood test when it is taken during the peak period. So, for most parts of the rest of the day, the T4 levels of the body will be stable. The medication dosage can be adjusted based on the TSH alone by some doctors. So, there is actually no difference once the dosage is adjusted. If T4 is included in the blood test interpretation, then the blood test and the timing of the medication must be considered for the assessment to be correct. Tests are usually more accurate when the thyroid hormone medication is taken after a thyroid test and not before the test. But you must be aware that adjustments can be made in some cases. Is fasting required for T3 T4 TSH test? Not necessarily. Is this applicable to a glucose test whereby you need thyroid medication before glucose test? No. Dr. Adil Maqbool is an M.B.B.S. Doctor and a freelance writer. His ebook on Hipjoint and Sleep has been a well-known success for his clients.